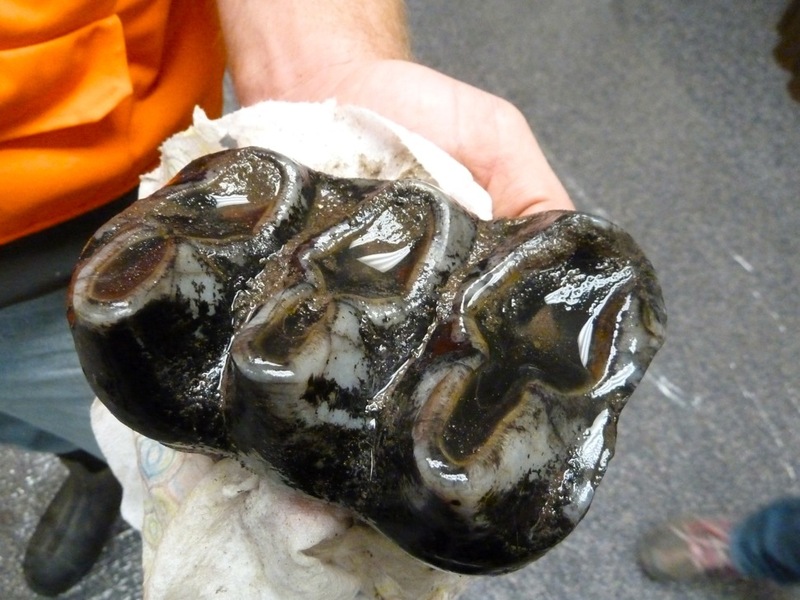 A construction worker with a giant ancient tooth, shortly after it was pulled out of the ground beneath Ziegler Reservoir, in October 2010. While scientists remain as giddy about the paleontological discoveries at Snowmass as youngsters diving for Christmas packages, Tom Cardamone may have the more difficult task of how to leverage the discoveries locally. Snowmass Discovery, the local nonprofit organization created to formulate an action plan, announced Monday that an agreement had been struck that will give Cardamone, the president and chief ecologist at the Aspen Center for Environmental Studies (ACES), responsibility for figuring out the next steps. 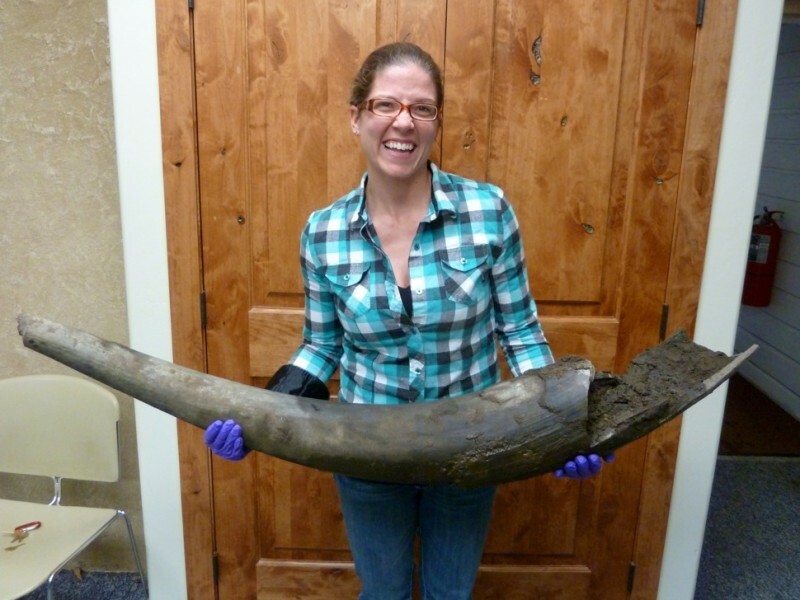 Scientists certainly consider the 6,000 bones, including those of at least 34 separate mastodons, and other material excavated from Ziegler Reservoir in 2010 and 2011 as a trove of prehistoric treasures. “It’s still as absolutely as spectacular as it was on day one,” said Jeff Pigati, of the U.S. Geological Survey and co-director of the scientific research. He and other scientists say it ranks as among the most important windows ever found in North America of the Pleistocene epoch. The epoch began 2.5 million years ago and has seen repeated advances of glaciers interspersed by warm periods such as our own. Snowmass Village is still trying to figure out how to leverage the discovery to benefit the town’s non-skiing economy. “Evaluating the long-term implications I think is still a major question and a major purpose of Tom Cardamone’s group,” said Russ Forrest, town manager for Snowmass Village. Cardamone’s role during the next six months will be to engage critical partners, experts and consultants to guide Snowmass Discovery to the “most effective and appropriate responses to these discoveries for the benefit of the community, its guests and society,” according to a press release. He was slated to brief the Snowmass Village Part-Time Residents’ Advisory Board on July 2. Snowmass Village has funded Cardamone’s salary of $20,000 and another $22,000 more broadly for Snowmass Discovery. One member of the Snowmass Village Town Council is on the board of directors. 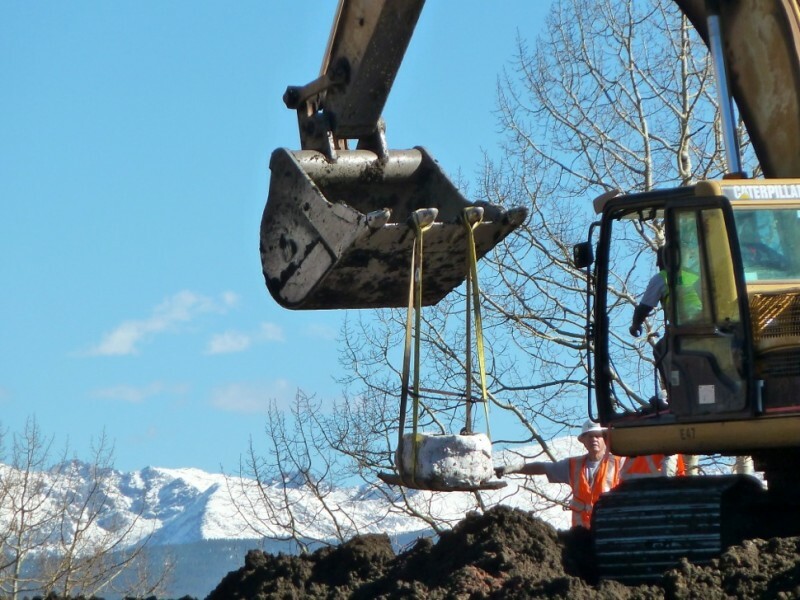 The first bone was discovered on Oct. 14, 2010, when bulldozer operator Jesse Steele noticed something unusual as he worked to enlarge the ancient lake to create a reservoir commissioned by the Snowmass Water and Sanitation District. Bones of cattle are not uncommon in such places, but an internet search he and other employees of Gould Construction conducted that night suggested a far older animal: a mammoth. The species disappeared from North America about 8,000 years ago. Two days later, at the invitation of the water and sanitation district, scientists from the Denver Museum of Nature and Science arrived to assess the discovery. Reservoir excavation was halted, and the water and sanitation district gave paleontologists authority to excavate the site for about a month that fall, until snowfall and cold halted further work. In May 2011, wallowing in mud and assisted by dozens of volunteers, they resumed working in a sort of an inverted anthill of methodical activity, wrapping up on July 4 to ride gleefully in Aspen’s Fourth of July parade. Immediately, heavy-equipment operators set out to complete the $11 million job of sculpting out Ziegler Reservoir, which is up to 26 feet deep and can hold up to 252 acre-feet. The benefit of that storage was realized at the start of the 2012-2013 winter, when snow was slow to arrive, said Kit Hamby, director of the water and sanitation district. In just six or seven months, the reservoir delivered 105 million gallons for snowmaking and more than 100 million gallons for domestic use in Snowmass, allowing stream flows to remain above minimum levels as specified by filings of state water officials. Within days of the announcement of the discovery in 2010, entrepreneurs were trying to figure out how to leverage the rare finds into commerce. So were town officials. They strung pennants of “Snowmastodon,” as the excavation was quickly dubbed, on poles throughout the town. With an eye toward larger strategies, they formed what was called a “tusk force” — for mastodon tusks that were quickly uncovered at the reservoir site — to evaluate options. A second phase of the study, conducted under the auspices of the not-for-profit Snowmass Discovery, commissioned an official with Chicago’s Field Museum to examine strategies. All ideas seemed to have merits, but nothing swam to the top. In a sense, that’s what Cardamone and ACES is charged with completing. Forrest also noted that another study, by Boulder-based RRC Associates, an economic and planning consulting firm, identified the paleontological site as one possible tool to expand the community’s non-skiing economy and vitality. One element of that already is in place. Since the discovery, the town has provided space in the Snowmass Mall for an exhibit. At the discovery center this summer, fossil expert Gussie Maccracken, from the Denver museum, will be at the Snowmass Ice Age Discovery Center to work. On Monday, she began opening the fossils jacketed in plaster for preparation, and then curating them with the assistance of local volunteers. She will be available to talk at the discovery center about her work. 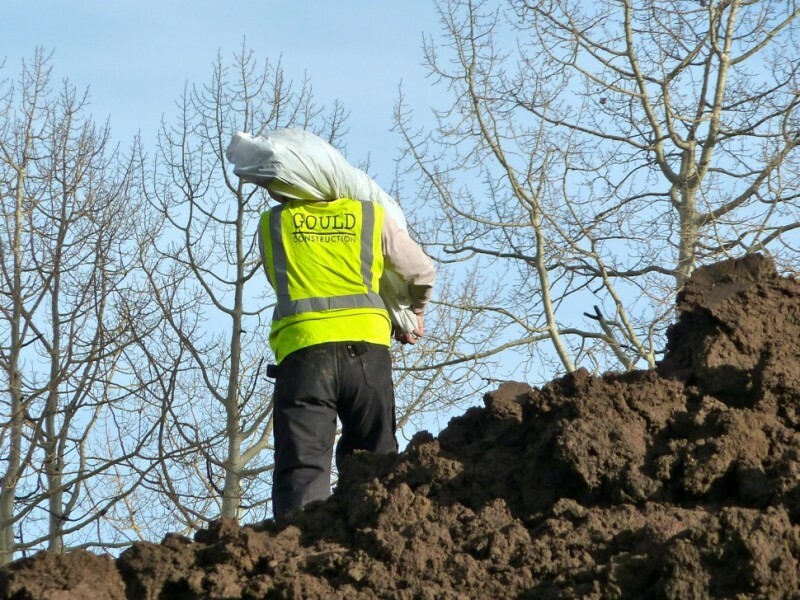 In addition, the Aspen Skiing Co. is working with the Denver museum to create a “dig pit” full of pre-production ice age fossils for kids “of all ages” to find, re-find and piece together their discoveries. Also new this summer will be a weekly lecture series about Pleistocene topics hosted by Colorado Mountain College on Tuesdays at 5 p.m. Similar to last year, ACES will lead Ice Age discovery walks each day at 1 p.m., starting at the discovery center. Still to be determined is what bones will be returned to Snowmass by the Denver museum. 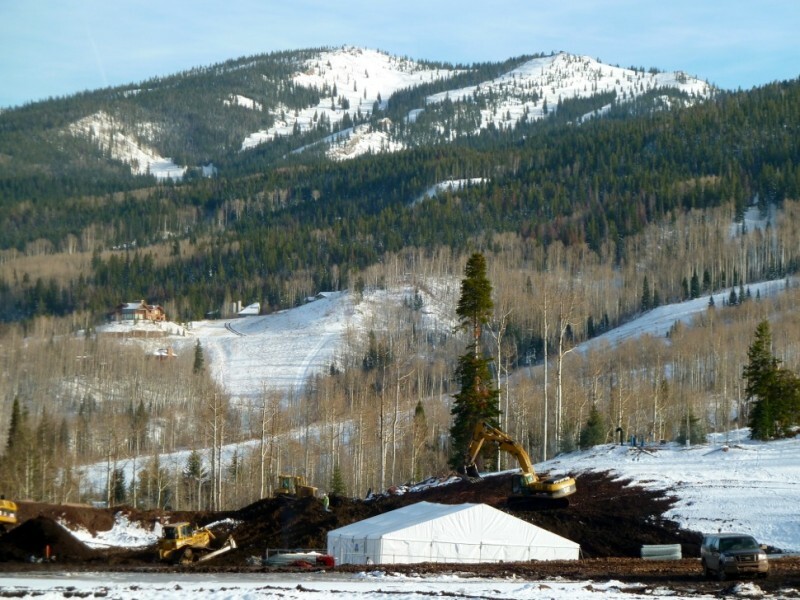 The agreement originally reached in 2010 specified that the most complete set of bones of a large animal would be returned to the Snowmass Water and Sanitation District. Meanwhile, the Denver museum recently concluded an exhibit called “Mammoths and Mastodons: Titans of the Ice Age.” The exhibit had been scheduled prior to the Snowmass discovery and included a small component, to the disappointment of some visitors. Charlotte Hurley, spokeswoman for the museum, said no effort was made to track how much attendance could be attributed to the Snowmass finds. Also unclear is how much the Snowmass discovery may have played in the appointment last October of Kirk Johnson, the former chief curator at the Denver museum, to an even more high-profile job at the Smithsonian in Washington D.C., where he is now the director of the National Museum of Natural History. Johnson was traveling this week and unavailable for comment. Editor’s note: This story was a collaboration between Aspen Journalism, Mountain Town News and the Aspen Daily News. The Daily News ran a version of this story on July 2, 2013.